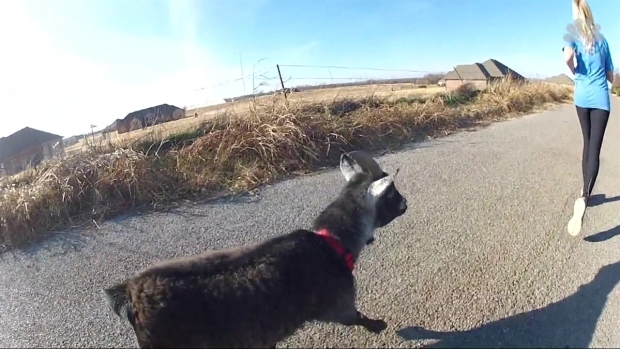 Police officers found the wayward white goat on Locust Avenue on Saturday morning. 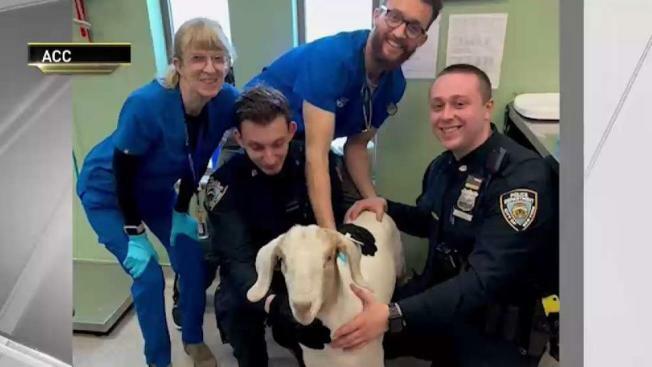 Police brought the goat to Animal Care Centers, which gave it a quick medical check and turned it over to Skylands Animal Sanctuary in New Jersey. It's been a busy week for farm animals going for a stroll on the wild side of New York City streets. On Wednesday, a young lamb was spotted running along the Gowanus Expressway during the morning rush hour. Sarah Hites doesn't get lonely while training for her next marathon. Her Nigerian Dwarf goat, Penny, likes to come along. KFOR's Galen Culver reports. The lamb was rescued by an off-duty U.S. Customs and Border Protection officer with help from the NYPD and "fellow New Yorkers," according to a tweet from CBP's New York field office's verified account. The lamb was also brought to Skylands where, perhaps, it can swap stories with the goat around the watering hole.